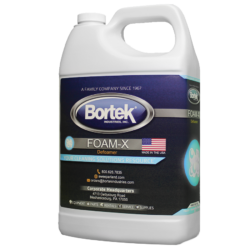 This product is a very effective agent for killing foam in recovery systems of carpet steam cleaners, automatic floor scrubbers, sinks, and wet/dry vacs. It is highly concentrated to be effective in small quantity additions. Suitable for use in all makes of equipment. This degreaser is an economical and highly active natural citrus solvent-based cleaner-degreaser. It is extremely versatile and can be used in a wide variety of applications. 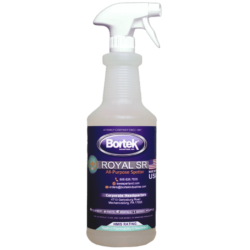 Royal PS is an awarded multi-purpose carpet cleaner that effectively removes soil without damaging your carpet. 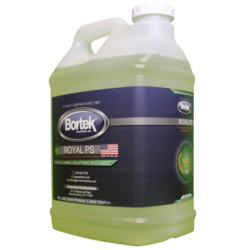 It works great as a pre-spray and extraction cleaner for any carpet-cleaning job. 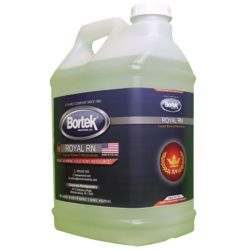 Royal RN is a carpet rinse and the final touch to restoring your carpet to its original clean. After extracting all the dirt from the carpet, Royal RN provides the fresh, clean feel you’ve been looking for! 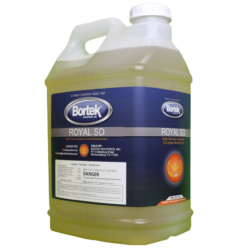 The Royal SD sanitizer and carpet deodorizer works fast and effectively by killing odor-causing micro-organisms. It’s a good choice for dealing with odors from flooding and smoke damage. It works fast – sanitizing soft surfaces in only five minutes! 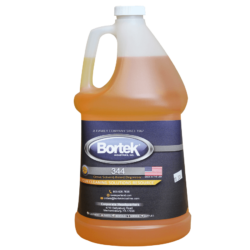 A one-step all-purpose spotter and stain remover which deals with oil and water-based stains. No rinse required. Safe for use on colorfast carpets not affected by water, including nylon, rayon, and other natural and synthetic fibers.